2015 has been a considerable year in the Poverello Center’s 41 year history. 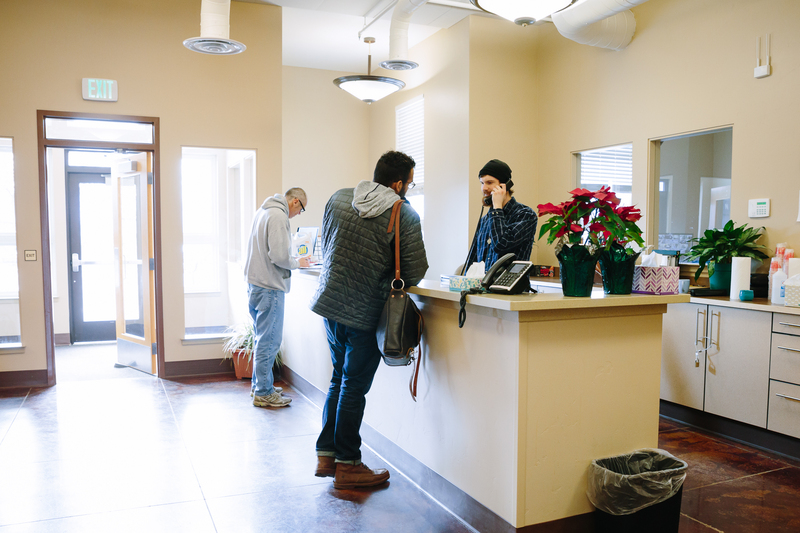 January was our first full month in our new emergency shelter on West Broadway Street. Nine months later, in September, we have been able to provide 1,093 individuals experiencing homelessness with a combined 30,922 nights of shelter. I am humbled by these numbers and humbled more so by the fact that I am able to be a part of the team providing this service. My name is Liam Morrison and I was selected to serve as one of the two Jesuit Volunteer at the Poverello Center from August 2014 until July 2015. Jesuit Volunteer Corps Northwest is a non-profit organization headquartered in Portland, Oregon. It was established in 1956 when a group of Jesuit priests called dozens of young men and women to serve at the recently opened Copper Valley School for Alaskan Native and Non-Native Children. Its program was so successful that the Peace Corps modeled their approach after the work of the Jesuit Volunteers. Today, Jesuit Volunteer serve in Alaska, Washington, Oregon, Idaho, and Montana- living communally with other volunteers serving marginalized communities. I had never heard of the Poverello Center or Missoula before being told I would spend my first year out of college serving here. I did not know what to expect. My experience has been remarkably positive. I have helped prepare and serve meals, engaged in intake meetings with our residents, enforced our rules, and to the chagrin of our residents, performed countless wake-up calls. What I value most about my year, however, is that every day I was able to connect with others. Every shift I served as a Jesuit Volunteer, I interacted with dozens of individuals. Whether it was someone casually explaining how their day went as I handed them a towel, or an emotional explanation of how a resident came to be in need of our night services I was given the opportunity to empathize. Residents shared with me the trauma they have endured and I was in able to listen and attempt to support. It’s one thing to acknowledge income inequality and classism. It is completely different to attempt to alleviate the consequences of them. Serving at the Poverello Center allowed me to do the latter. I was not perfect. Serving at a shelter is much more emotionally and mentally taxing than the customer service jobs I had held as a student. All too frequently I would attempt to do three or four things at once. Residents and co-workers alike began to compare me to a chicken with its head cut off. It took me the majority of my service year to learn to take things one job at a time. Despite feeling overwhelmed, I never began to dislike working at the Pov. I felt exhausted in the best way possible. Never before had I been so tired after a job, but never before was I motivated to make myself this tired. Serving at the Poverello Center filled me with purpose I had not experienced before. I was not just selling tennis shoes or busing a table. I was able to be part of a team helping a marginalized and vulnerable population. Never before had I been a part of something so meaningful. I consider this year to have been the most important in my life so far and I owe that to the incredible people at the Poverello Center. Help us meet the needs of our clients and promote our mission. Consider learning more about the issues of poverty, hunger, and homelessness. Consider spreading the word about the Pov Center and the issues close to our hearts, either by sharing information locally or through social media. Absolutely nothing that we accomplish is possible without the support of many hundreds of compassionate, thoughtful, hardworking, and generous community members and groups. Give right now, or learn about what our most immediate needs are when it comes to food, supplies, and resources. One of the most powerful donations you can make is the gift of your time and talents. We encourage you, your family, or your group to learn about our volunteer opportunities, which range from working in our kitchen, to organizing a drive, to providing us with professional services. Subscribe to The Poverello's email newsletter today! © 2019 The Poverello Center. All Rights Reserved. Site development by Design Missoula, Inc.